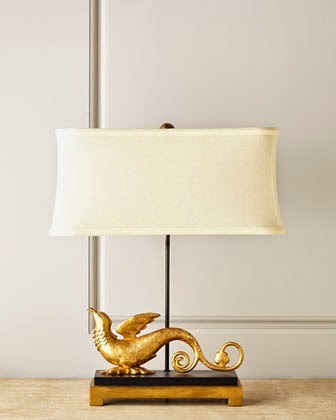 I love me some cyber window shopping, I love me some lamps. 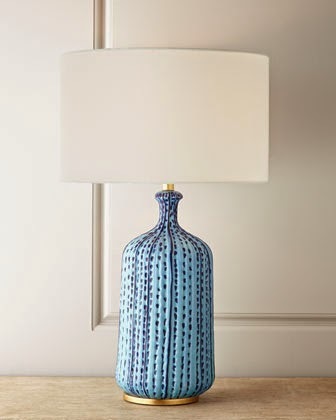 I was hopping around the 'net and came across a Horchow sale offering 20%, 30% and 40% off. Being me, I went directly to the 40% off page because the bigger the discount the better the thrill. 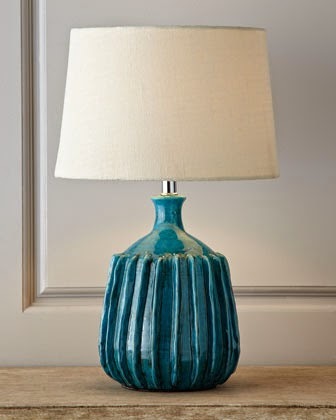 I have a lighting problem - I love buying lamps and fixtures. I'm being good only because at these prices, none of these are impulse buys. 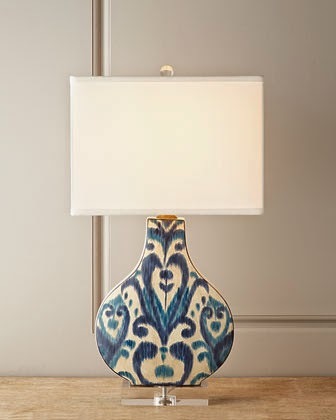 They are think it over buys, and if I think it over, I don't actually have anywhere to put these lamps without removing existing lamps that I already own and also love. See also: my husband won't build me a guest house. 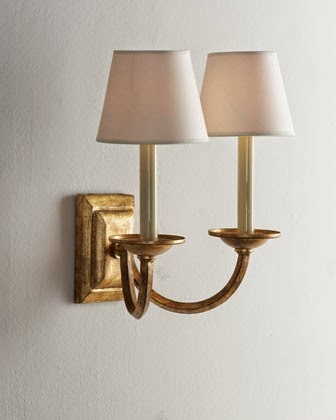 See also: ridiculous home ideas I have. 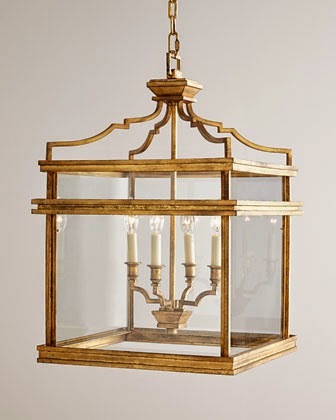 Here are a few pretties I'm coveting now. Be warned: I have eclectic taste. 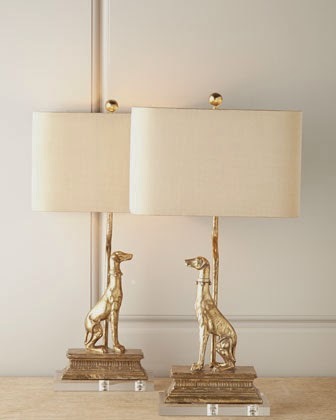 Do not adjust your monitors, I really did slap up a photo of golden dog lamps. These are all so beautiful. 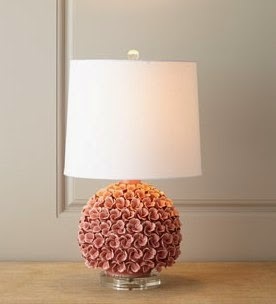 I have a weakness for pretty lamps and lighting too.